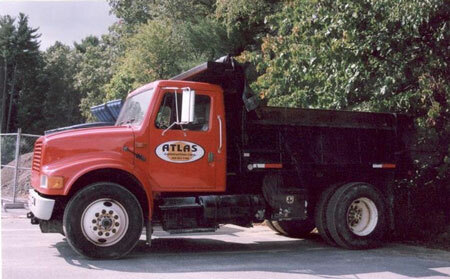 Atlas Construction Corp. is a family-owned and operated excavating contractor. 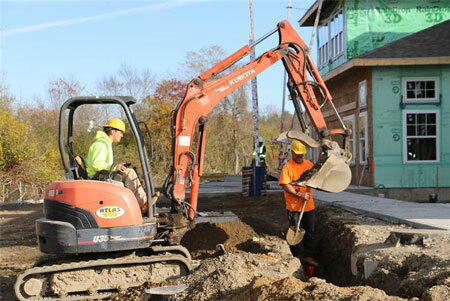 We provide a wide range of services, including excavation, grading and driveway construction. Our business has been a mainstay of our community for nearly a decade. We are committed to meeting the needs of our customers. We offer excavation, backhoe services, site grading and a wide range of construction services to commercial and residential clients. We are known for building a strong rapport with our customers. Our dedicated workforce is intensely devoted to providing all of our clients with the best construction quality possible, and the best possible customer service experience! Thanks to our wide range of service offerings, we can be the one-stop shop that meets all of your excavation and construction needs. We are a fully-licensed and -insured company, and possess a number of additional Massachusetts state certifications that make us the best company to perfect your property. Our team maintains a current Septic Installers License. We are proud members of the Cranberry Chamber of Commerce. Atlas Construction Corp. is a certified women’s business enterprise (WBE) and disadvantaged business enterprise (DBE). Our company is fully-licensed and -insured in the state of Massachusetts. We have experience providing services to a diverse array of commercial properties. Add value to your property today, and begin the process of constructing an addition to your building or excavating your next parking area. Contact us now to learn more about our pricing and services.